This designer pyramid stainless steel Skycap(R) riser is part of the multi-piece collection of the buffetware line. 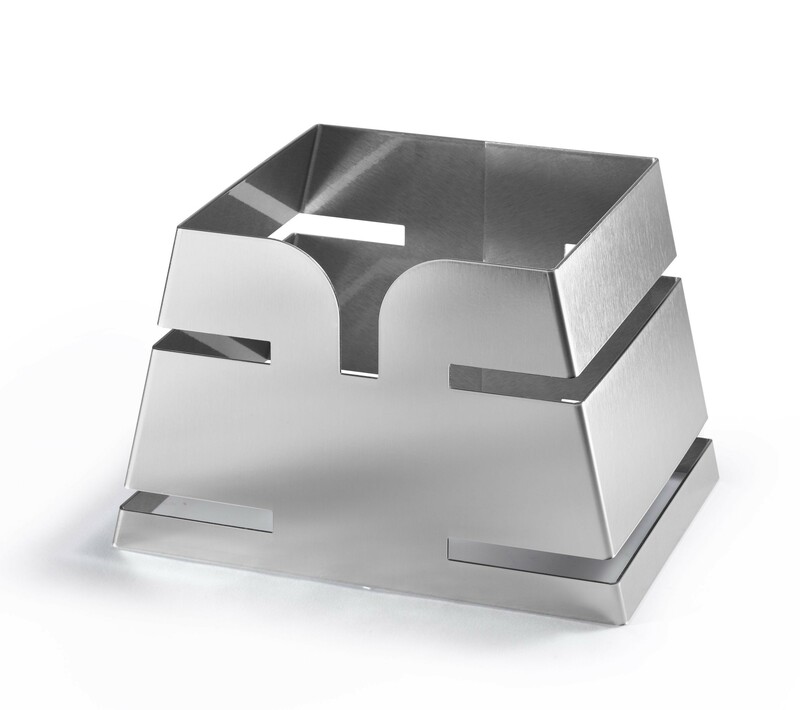 Made in the USA using only the finest grade stainless steel, this riser features a brushed finish and special protective coating to help withstand the wear and tear of commercial environments. It also features smooth edges for a chic, classic finish. It fits the Rosseto(R) square one- and two- gallon beverage dispensers.